Though Monday's aren't my favorite, it's refreshing to start a new week (especially on summer break!). 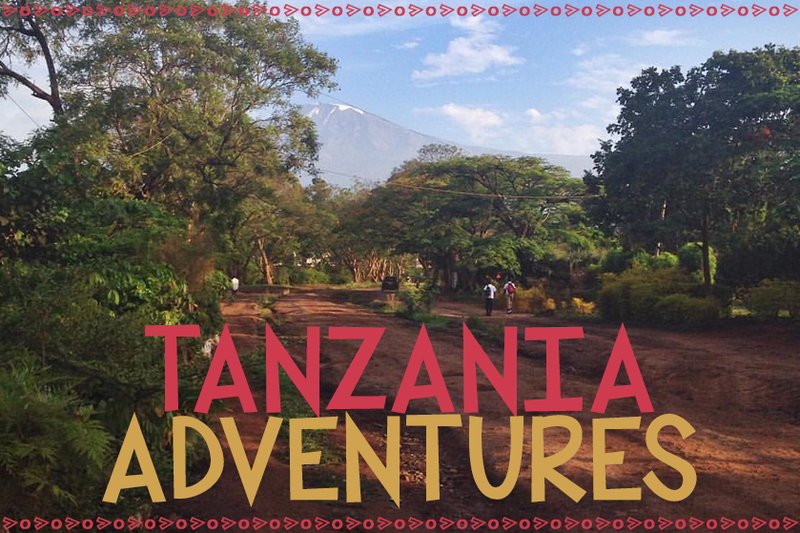 I cannot believe I leave on a plane to go back to Tanzania in one month! Holy cow! I'm going to be busy making lists, shopping, packing, researching, crafting, Pinning, blogging, fundraising,...on repeat! Today, however, I'm coming to you with a healthy salad that tastes amazing and has great nutrition too! I'm not a huge salad lover, but if you have the right dressing and tasty toppings, I'm definitely more apt to go for it! I loved this salad so much that I bought the ingredients to make it AGAIN this week! I found this recipe on Pinterest; it is from A Pinch of Yum. It is the Chopped Thai Salad with Sesame Garlic Dressing! Put all the dressing ingredients in a food processor or blender and puree until smooth. Taste and adjust to fit your preferences. Transfer the dressing to a jar or container and rinse the blender out for use later. Bring a pot of water to boil, and then cook the edamame for 3-5 minutes. Drain and allow it to cool. While this is happening, slice up the kale, carrots, peppers, cilantro, and green onions into thin strips or shreds. You can do the same to the cashews that you did to the edamame, or you can put them in a ziploc baggie and crush them using a mallet (or the bottom of a glass, like I did!). It just depends on what you're looking for texturally. If you are serving the whole salad immediately, go ahead and drizzle the dressing on top, and toss the salad a few times, and serve. If you're not eating it all in one setting, save the dressing to put on the salad when you eat it. This will make the salad last longer. This salad makes six servings, so I divided it into six baggies for meals throughout the week. Then, when I was ready to eat one, I'd add in the dressing. I really enjoy this salad because it has the crunch of the peppers and carrots, the saltiness of the cashews, the creaminess of the minced edamame, the fragrant qualities from the cilantro and onion, and the Thai flavors from the dressing! As I mentioned above, it serves six as a meal. Though there is no meat, it still satisfies me. You could add chicken or salmon if you wanted. I calculated it out and sans meat each serving is 406 calories. Not bad for a healthy, delicious salad and meal! 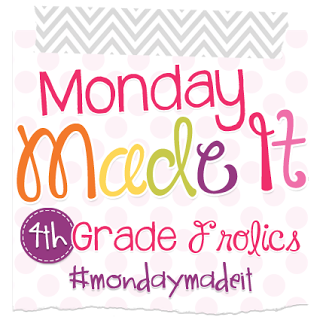 I'm linking up with Tara from 4th Grade Frolics for her Monday Made It linky party! Click on the button to go check out what she and everyone else made today! 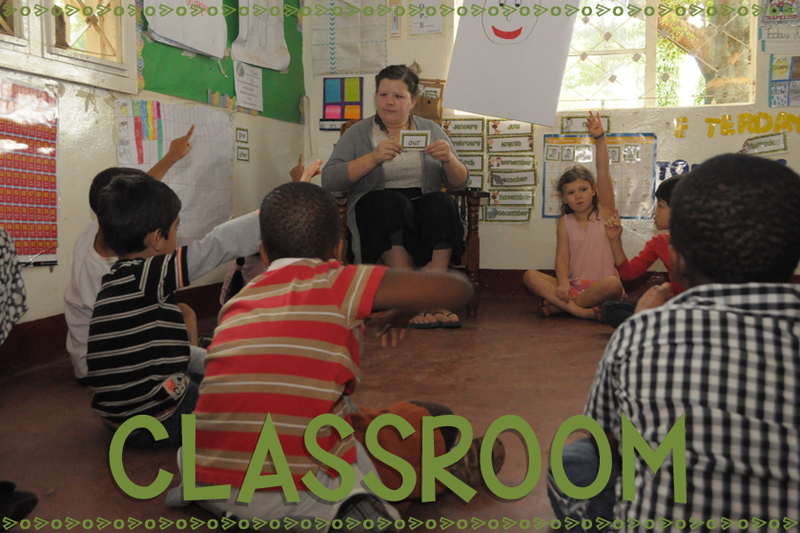 I hope to have some DIYs for my classroom to show you next Monday! 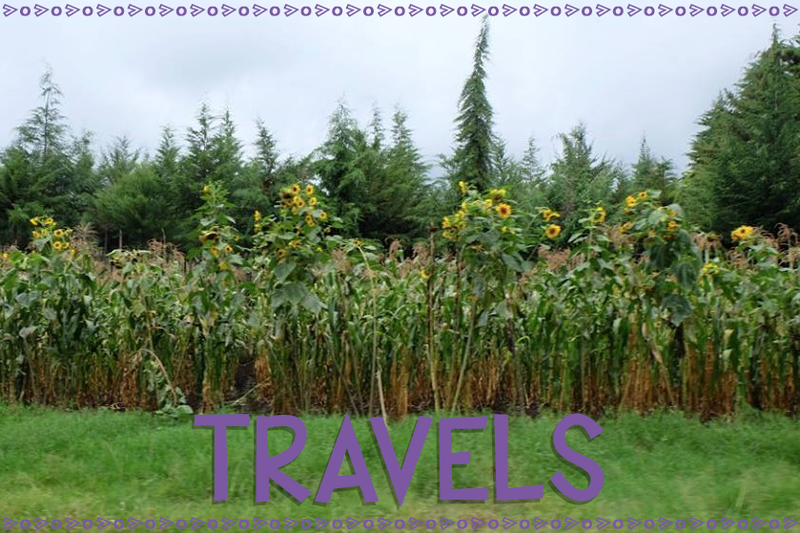 Also, if you missed my post on Friday, I have some really exciting news! Sun, Sand, and Second Grade is celebrating 1000 FB followers!! 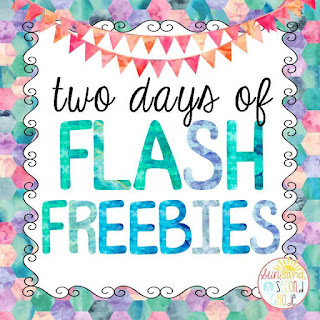 Briana, the blogger behind this cute blog, is hosting TWO days of flash freebies! That means that for two days- Today (7/13) and tomorrow (7/14)- bloggers and TpT Sellers will be making a product in their stores free for THIRTY MINUTES ONLY. Every 30 minutes a new product will be a freebie- from 8 am - 9 pm (Eastern Time). You have the potential to gain 57 freebies over the next two days!!!! How awesome is that?!? It starts right NOW, so head over to Sun, Sand, and Second Grade's FB page to get the first freebie! I'll be making my Pail of Pals product FREE tomorrow (7/14) at 11 am (Eastern). If you don't already have it, make sure to grab it before it goes back to regular price!! Have you jumped on Periscope? If so, find me at @allieelliott! What is your favorite healthy summer meal? Let me know down in the comments!! Your salad looks amazingly tasty! I really wish I loved to cook because I could learn to make this! Lol!